Create a fun party atmosphere with multi coloured kaleidoscopic lights shining onto surfaces from these sound reactive party lights. 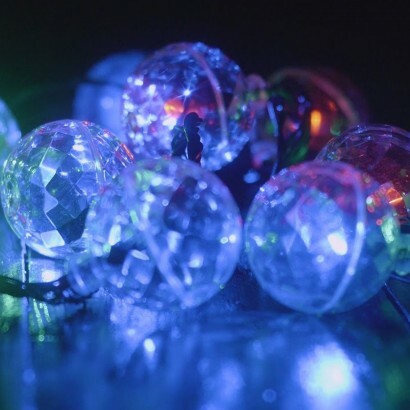 Twelve multi faceted clear disco balls distort the light from multi coloured LEDs to create a stunning light effect in static, colour change and sound reactive modes. 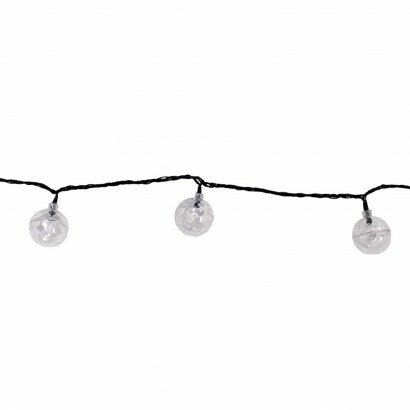 USB operated, simply plug in and colourful light will project out of the disco balls for awesome party or mood lighting effects. Why not make it battery operated with a USB battery box?